Sara is Founding General Partner at True Wealth Ventures, an early-stage venture capital fund investing in women-led businesses in consumer health and sustainable products and technologies. Throughout her career, Sara has worked with and contributed to some of the top teams in the technology industry and has cultivated a diverse portfolio of leadership experience. An active member of the entrepreneurial ecosystem to support gender diversity, Sara is a founding investor in the Rising Tide Fund, advisor to DivInc., and steering committee member of Women@Austin. 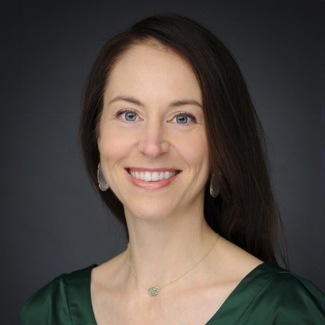 She also serves the consumer health and sustainable consumer sectors as advisor to Texas Health Catalyst at the Dell Medical School, mentor for CleanTech Open and as an active speaker on the topic. Well, I was born in Wisconsin, the oldest of three siblings, and moved to Arizona in my middle and high school years. I have 3 degrees in mechanical engineering, a BS from UT Austin and an MS and PhD from UC Berkeley. I have 20 years of experience in the semiconductor/technology industry between technical roles at places like Intel and Applied Materials, strategic management consulting with McKinsey & Company, venture capital also out in the Bay Area, and operational rolls at AMD which brought me back to Austin. I also started (512) brewing company with my husband, and we have two boys. HTA - What was the inspiration for launching True Wealth Ventures? I knew I wanted to be in venture capital in Austin, and then I found this blind spot of focusing on women entrepreneurs - that spreads well outside of Austin, but I think this is a particularly advantaged city for this fund’s investment thesis and market focus. I had a male dominated background as you can see from my career history in the last question, and when I was asked to be the executive sponsor of the global women’s forum at the Fortune 500 tech company I was working at because I was the only woman at the time who was a VP who had any technical or operational background… my eyes were opened. I had not realized this was true and started getting very curious about why it was true, what to do about it and why do anything about it. That led me to some early studies showing the significant financial out performance that companies enjoyed that had more women leaders at the helm, the almost complete lack of women investing as venture capitalists, the 2% of women entrepreneurs getting venture-capital dollars and the massive opportunity to invest in new solutions to environmental and human health issues that gender diverse teams have an advantage addressing. HTA - Why do you think it’s important to have a venture capital firm that exclusively supports women-led businesses? There’s a lot of data showing a cultural unconscious bias against women entrepreneurs, from both male and female investors. Some recent work out of the Columbia Business School shows that investors universally ask women entrepreneurs more prevention oriented questions while they ask men more promotion oriented questions. This leads to 2% of new investment dollars going to all-female founded teams or teams with a woman CEO. I think it takes a proactive, conscious investment focus on gender diverse teams and women entrepreneurs in order to overcome this bias and fund these companies. Natural human behavior and good intentions aren’t working. HTA - Have you faced criticism for doing that, and, if so, how do you respond? I have surprisingly faced very little criticism with this approach and more overwhelming support. For the few critical questions I have received about focusing exclusively on ‘women led’ companies, I have clarified that our definition of ‘women led’ is that we require at least one woman on the founding or early stage executive team. We’re not requiring all women or a woman CEO, so this is not an exclusionary requirement, and the strategy has a lot of positive business/financial correlations behind it versus some feminist manifesto. HTA - We are in the midst of a #MeToo movement; Do you think it’s here to stay and do you think it will make a difference in how women are treated in our society? I sure hope it’s not here to stay! I think it is a tipping point and that future generations are going to look back at this time and be bewildered at the fact that this behavior ever existed in the workplace. HTA - We noticed, True Wealth Ventures, had a pitch event at SXSW from women-led startups in consumer health or sustainability. How did that go? It was great to be able to take advantage of having so many companies in town from across the country and world to hold our own pitch event. We had been focused on the final close of our fund earlier in Q1, so it was great timing for us to be able to quickly turn our attention to investing and getting the word out about our Fund’s investment focus areas and that we are writing checks. I got a minor in public health while working on my PhD at UC Berkeley and was focused on human and environmental health issues coming out of how we design and manufacture things as engineers. What has surprised me most in the healthcare industry now that I have a “gender lens” is how many innovation blind spots there have been with 90%+ of the venture capital investment decisions being made by men and 90%+ of the venture-capital dollars going to men. We are seeing a lot of deals in women’s health, and it’s really been surprising how little innovation has happened in so many of these areas from fertility, pregnancy/postpartum, menopause, etc. It’s also been surprising in the aging or “silver tech“ space which is a massive and growing market in this country. Maybe because daughters and daughters-in-law are the largest form of healthcare for the aging population, there hasn’t been much VC investment in this space either. HTA - You recently closed your first fund at $19.1 million dollars. Any unique stories about the raising the round that you can share? There is a very unique story actually. This was not our plan and quite the opposite of what we originally expected, but over 80% of our investors are women, either single or driving the investment decision into the Fund on behalf of a couple, family office or foundation. This is apparently unprecedented and we made national news about it in Forbes, the Wall Street Journal and some other national publications. I didn’t realize what a large platform this was going to be when starting this fund, and the events over the last year have certainly created a lot of that momentum. HTA - What did you learn at your first job, that impacts how you lead True Wealth Ventures today? I have never thought about or answered this question before, but now that I think about it… My first job was at Intel which is a very aggressive, male dominated culture where “constructive confrontation“ means yelling at someone in a conference room versus an open cubicle environment. I survived and I suppose you could say thrived in that type of culture for the majority of my career, but that foundation lacked role models with feminine–style leadership. I think it has inspired me to support and create other styles of business culture that value diverse perspectives and, I believe, are more effective for bringing out the best in a team. In this job, I am constantly learning. I created this job because of that fact that there’s nothing I like more than learning about new aspects of science or technology and how they can be applied to solving some of the most pressing problems. I just finished reading Sheryl Sandberg‘s Option B which I thought was fantastic and motivating in terms of how to work through life‘s tragedies in the most effective way possible, as well as to learn how to support others when they are going through hard times. My youngest son shared that he is very happy that I’m done with the book as he was tired of watching me cry every time I read. HTA - You co-founded, with your husband, 512 Brewing Company. How's that going? It’s going great. Watching how much the market has changed over the past decade has been pretty amazing. We were one of the only new breweries in the entire State back when we started. There were abut 30 brewery permits in Texas in 2007, and now there are about 220. We have a pretty unique offering with our commitment to all organic base grains and reusable packaging (since we are draught only), and we are 100% self-distributed which really allows us to keep a hand on the quality from grain to glass. We have new land to build a bigger brewery and tasting room and have more space for fun barrel projects. My husband is also a mechanical engineer, and it’s such a nice way to combine engineering (with the boilers, pumps, tanks, etc.) with the creative side of making really special, new recipes. It’s great to see him living his dream job while I live mine!